Usyk’s next career move is still up in the air. 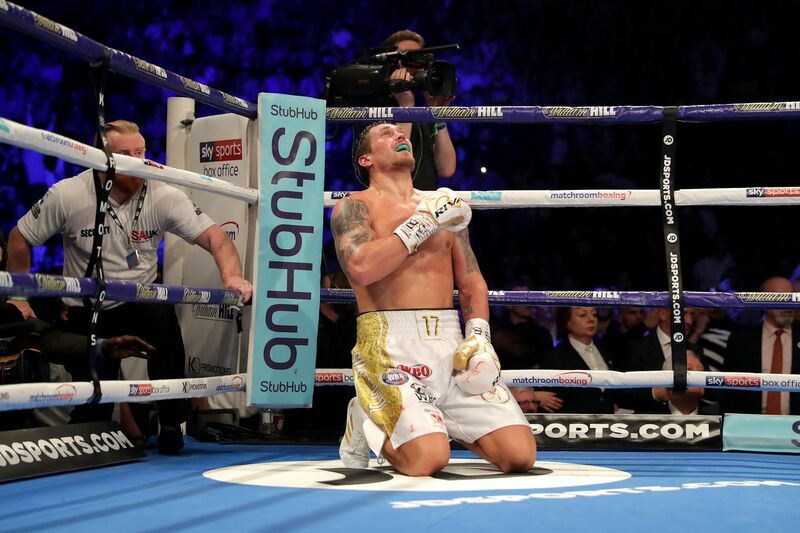 Following his emphatic knockout win over Tony Bellew last November, and really even before that, there’s was nothing left for Oleksandr Usyk to prove at cruiserweight. The fighter, now 16-0 (12 KOs), became the first undisputed cruiserweight champion in history as a result of sweeping last’s years World Boxing Super Series tournament in impressive fashion. Since then there’s been a lot of talk about Usyk possibly moving up to heavyweight and challenging Anthony Joshua, but those plans remain to be seen at this point. However, Matchroom promoter Eddie Hearn tells Sky Sports that Usky could immediately be installed as Anthony Joshua’s WBO mandatory challenger if he indeed decides to move up in weight. “Under the WBO rules, Usyk, once he steps up – if he steps up – should become that automatic mandatory. I was with the WBO last week in Puerto Rico. Hearn also confirmed that he has Usyk booked for his next fight date, but didn’t reveal details as to when it would take place, who the the opponent would be, nor what the weight class Usyk would be competing in. What say you, fans? Are any of you fawning over a Joshua-Usyk fight?